Sahir and Jai are looking for something in each other, but do either of them know what it is? 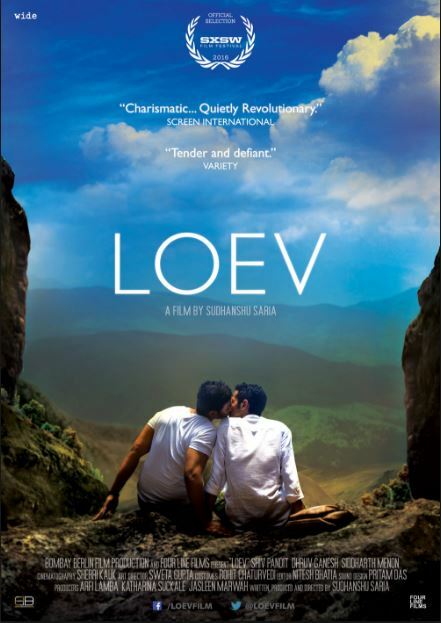 As I started watching Loev, I immediately tried to start putting the pieces together. Who are these people, and who are they to each other? With many films, the first few minutes give us an introduction to the characters and how they relate. In Loev, some of this comes together easily, while most parts are harder to figure out. I’m pretty sure this was done on purpose, and it was well done. Sahil and Alex seem to be boyfriends who are not doing so well. They argue as Sahil finds Alex to be irresponsible. Not paying the electric bill and leaving the gas on are metaphors for what is wrong in their relationship. So Sahil is off to hang out with Jai who is in town on business. Who is Jai? The answer is left unsaid – as are many things in this film. He could be an old friend, old lover, family friend.. What is clear though is that there is something between them, although it’s a mystery what that is. They seem to flirt back and forth, but at different times. They seem into each other, but at different times. The film Hawaii comes to mind as I think about this one. The long silences combined with the artful cinematography play into the mood that this film creates. But this one creates a longing that is unfulfilled. It feels confusing and hopeless. It’s like trying to find the answer to a question that has not been posed. Take the scene in the mountains where Sahil and Jai are both sitting together on the rock, even after Jai was reluctant to sit there. Jai gives Sahil a look that causes him to smile with his whole face, but then where does all that go? I can’t get past the feeling that Sahil is using Jai, and that Jai wants far more from their relationship than Sahil. Even when Sahil seems upset that Jai isn’t paying attention or doing what he wants him to, when Jai does pay attention Sahil backs off. Why? And Jai becomes more and more discontent with the situation. Each time Sahir pushes his buttons, Jai edges a little closer to over the top – until a horrible situation occurs that can’t be taken back. Afterwards, Sahir continues as if nothing happened, and it escapes me how this didn’t become a defining moment of their relationship. Why did I open with the cheesy lyric that popped into my mind? Love seems to be hurting them. It’s like they’re all searching for what they know not, and they don’t have a clear sense of what they want from each other. The end doesn’t really clarify anything, except that maybe there’s a shred of hope in there somewhere.